There was a heist (presumably) and you're on the run. Will you be caught or get away scot-free? 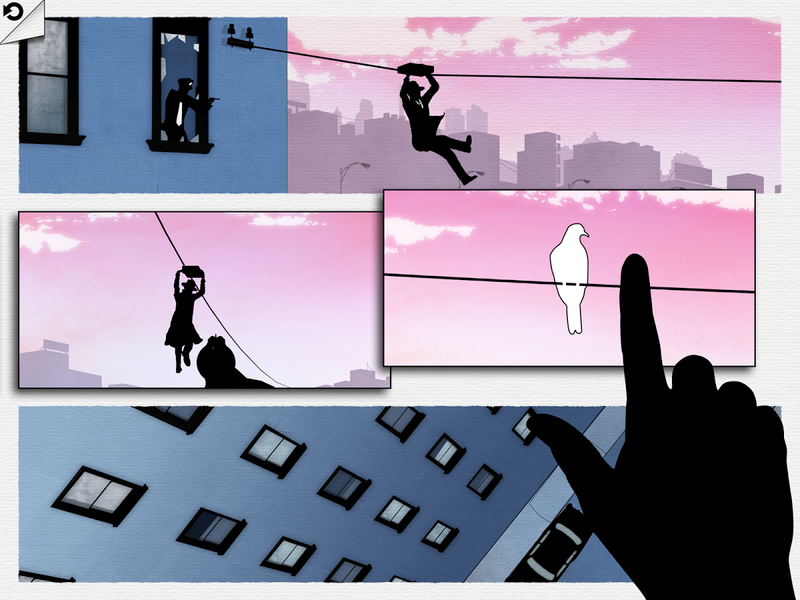 That's entirely dependent on how you arrange events in Framed. This game looks incredibly polished and I can't say I've ever seen anything like it. 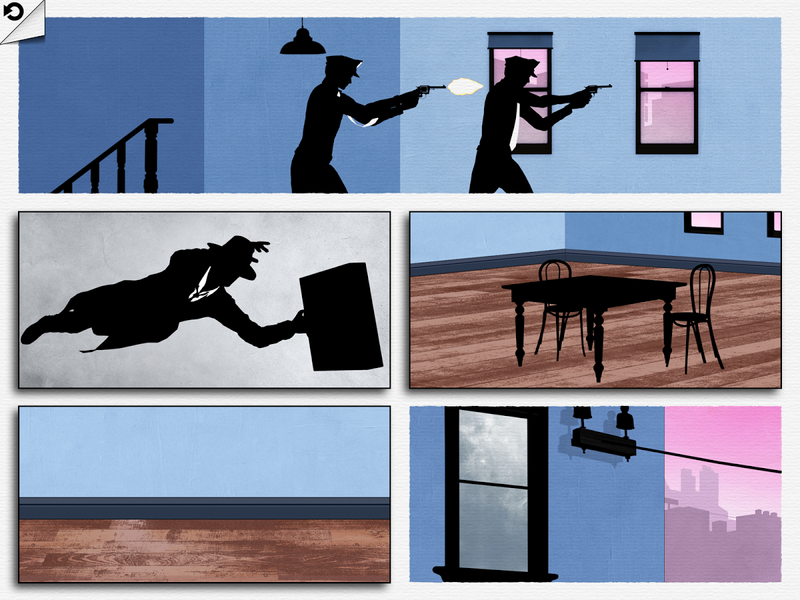 Each puzzle in Framed is like a page out of a noir comic book. The protagonist dashes through one panel after another until he is captured or meets an untimely end. You can change the outcome by dragging the panels around, using the distinct elements from each to make sure he gets away. For example, at one point the police open fire as you dive across a room. You're hit and fall into a table, quite clearly dead. However, you can move the table frame up so instead of being shot, you reach the table and use it as cover. Clever, right? 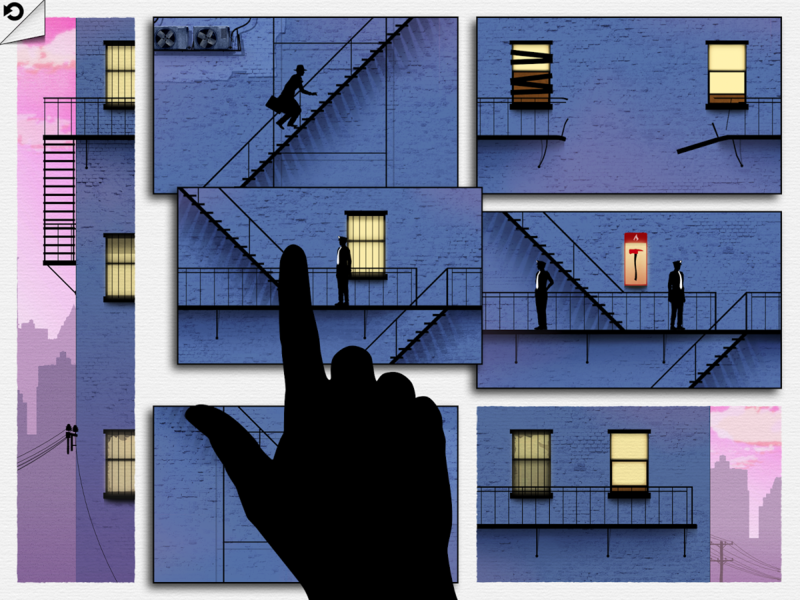 Framed has a cool art style and the animations play out seamlessly as you move the panels around. 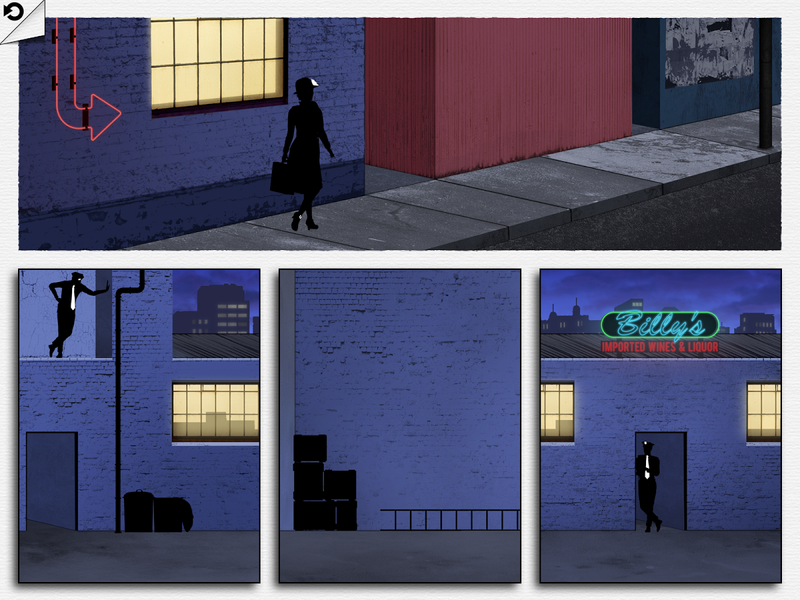 It also has a slick jazz soundtrack that fits oh so well with the action. 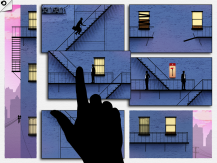 It's only a buck (no in-app purchases), and seems well worth your time.